My job is the best - I know you may hear that a lot from people, but mine just is. 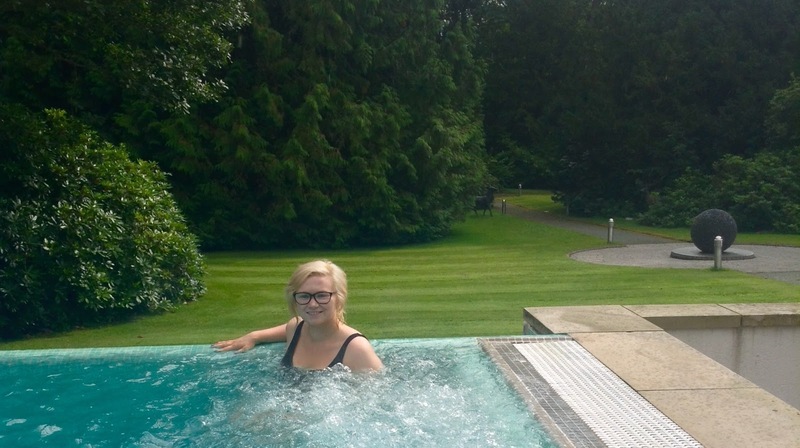 It has allowed me to do some brilliant activities and get some amazing things, Most recently, I went for a spa day at a 4 star hotel in the Lake District: Armathwaite Hall Spa. I won't make you all pea green with envy by recalling my luxurious day of (needed) stress-relieving R&R, but I did pick up a few bits and pieces while I was there. These are; three ORLY nail polishes and an ORLY hand cream. Left to right: ORLY Rich Renewal Hydrating Crème in Paradise. ORLY Mani Mini's in Ruby, Mirror Mirror and Charged up. I'm really fussy when it comes to what I put on my hands and smells, so the ORLY Rich Renewal Hydrating Crème in Paradise was perfect for me. It's actually a body, hand and foot creme, however I have been using it on my hands to give them that well deserved pampering. The lychee and pomegranate scent is light but luxurious and for a rich cream, it hydrates but leaves no sticky residue on the skin and a little really does go a long way, so no need to bathe in the stuff . Also, it wasn't until after I purchased I realised Amanda Holden had been snapped using it as a back stage fave - so if it's good enough for the stars a £5, I can't go wrong! I'm, admittedly quite the nail polish addict so the ORLY Mani Mini's are just fab, they meant I could try a colour I fancy, decide how much I like it and go full out with a big one. The colours I picked were aimed at the coming autumn winter months. a bit of vibrancy or colour, while keeping those fall tones in there. The polish itself is easy to glide on and has brilliant staying power, I've become a bit addicted to all three, swapping between the three frequently now. With these I recommend putting on thin layers then and waiting a good 30 minutes before going mad with the hand actions. But I wore one colour for a whole week without needing any top-ups or needing to reapply, so I'm now definitely considering upgrading to some bigger sizes! ORLY is a product I'd never really used often, especially after my Mam used to rave about their anti-aging range back when I was a teen, so I didn't really look into what they have to offer. That's all about to change now, as I know I've put a few bits and pieces from their products on my overextending birthday list! Have you tried any orly products or these I have above? If so, let me know, I would love to know what you think! P.S I shall leave you with an enviable photo of me in the hydrotherapy hot tub!